Stock in AstraZeneca plc EPIC code: LON:AZN has slid -6.55% or -425.72 points in today’s trading session so far. Traders have not remained optimistic throughout the session. The periods high figure was 6283 dipping to 6049.26. The total volume traded so far comes to 2,454,099 while the daily average number of shares exchanged is 2,338,478. The 52 week high for the shares is 6540 which comes in at 44 points difference from the previous close and the 52 week low at 4825 a difference of some 1671 points. AstraZeneca plc has a 20 SMA of 6359.89 and a 50 day MA at 6036.85. The current market cap is £76,899.02m at the time of this report. Share price is traded in GBX. Mcap is measured in GBP. 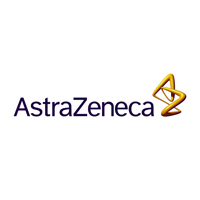 This article was written with the last trade for AstraZeneca plc being recorded at Friday, March 29, 2019 at 12:02:32 PM GMT with the stock price trading at 6070.28 GBX. Shares of Johnson Matthey PLC company symbol: LON:JMAT has declined -2.48% or -79 points in today’s trading session so far. Investors did not seem confident throughout the trading session. The periods high has reached 3231 and hitting a low of 3106. The amount of shares exchanged has so far reached 221,415 with the daily average traded share volume around 484,114. The 52 week high price for the shares is 3873 about 688 points difference from the previous days close and putting the 52 week low at 2574 a difference of some 611 points. Johnson Matthey PLC now has a 20 SMA at 3180.72 with a 50 day simple moving average now at 3129.75. The market cap now stands at £6,011.15m at the time of this report. The share price is in Great British pence. Mcap is measured in GBP. This article was written with the last trade for Johnson Matthey PLC being recorded at Friday, March 29, 2019 at 12:02:29 PM GMT with the stock price trading at 3106 GBX. The share price for TUI AG ticker lookup code: LON:TUI has moved down -6.47% or -49.8 points during the course of today’s session so far. Traders did not seem confident throughout the session. The high for the period has reached 721.8 and a low of 686.6. The total volume of shares exchanged through this period comes to 4,224,432 with the daily average at 3,126,218. The 52 week high for the shares is 1816 around 1046.2 points difference from the previous days close and putting the 52 week low at 686.6 making a difference of 83.19 points. TUI AG now has a 20 simple moving average of 810.11 and now a 50 day moving average at 948.86. This puts the market cap at £4,895.93m at the time of this report. Share price is traded in GBX. Mcap is measured in GBP. This article was written with the last trade for TUI AG being recorded at Friday, March 29, 2019 at 12:02:20 PM GMT with the stock price trading at 720 GBX. Click AZN JMAT TUI for the full archive.